Giant Unicorn Lamp is Ginormous and Awesome! A small unicorn lamp is cool. A medium-sized one is better. But a giant unicorn lamp? That’s just plain awesome! So it shouldn’t come as a surprise that a campaign on Kickstarter to make the latter has reached its funding goal several times over. 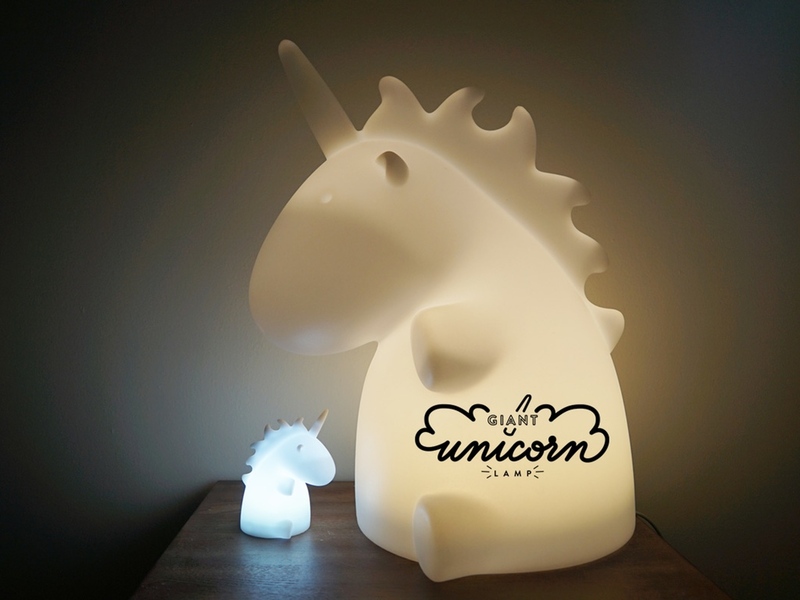 The ginormous unicorn lamp measures 20 x 12 inches– which is larger than your average lamp for sure. The Giant Unicorn lamp has various lamp modes (because first and foremost, it is a lamp.) A pledge of $85 will get you one giant unicorn lamp, and you’ll get the mini uni light if you add $10 more to your pledge. By Hazel Chua on 02/02/15 • Leave a comment! Doing laundry is a multi-step process, and it begins with sorting all of your dirty clothes into different piles: one for whites, one for light clothes, one for dark, one for delicates, and another one or two for everything else that doesn’t fit into these categories. Or you could just skip the piles and sort your stuff as you take ’em off by getting a set of these Easy Sort Laundry Bags. 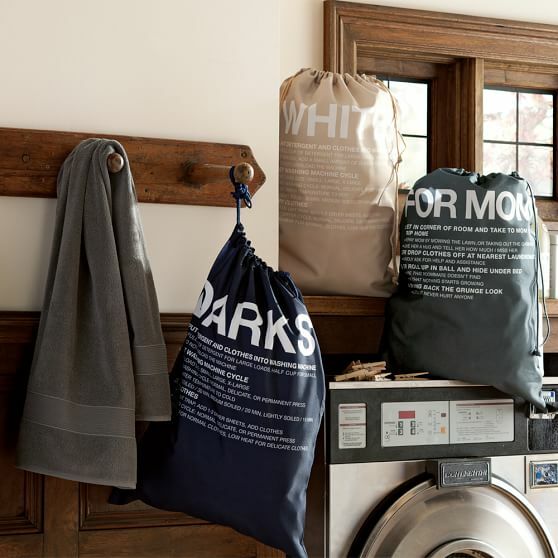 You get three bags: a khaki one for your whites, a navy one for dark stuff, and a gray one labeled “mom” for everything else– aka it’s the bag that will most likely go to the laundromat because you can’t figure out how to wash them. The Easy Sort Laundry Bags are currently on sale for $29. You don’t typically think of candles as effective heat sources, at least not to heat up an entire room. 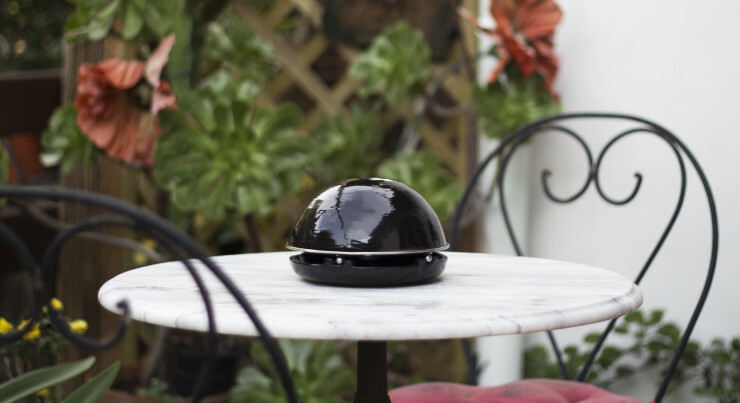 However, the Egloo terracotta heater claims to do just that. By using four small candles and two nested clay domes, it is able to generate enough heat to warm up an office sized room for up to 5 hours at a time. After that, just get a new set of candles. These are super cheap, going for as little as $4 for 100 at IKEA. 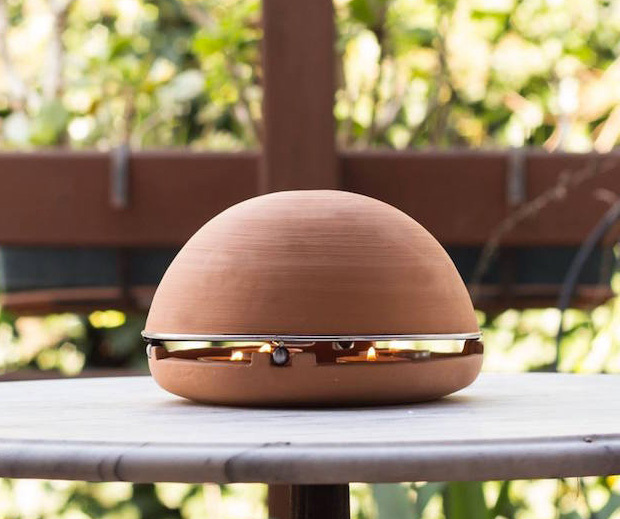 The nested dome design, as well as the use of clay ensures that as much of the heat generated by the candles is distributed back to the room at a rate that allows for comfortable enjoyment. It won’t warm your entire home up, but if you’ve got one chilly room you find yourself in often, you might want to consider this innovative alternative. It’s a $60 pledge on their well-funded Indiegogo, and comes in various finishes. Sometimes you’re in the mood of a nice soft wrap, while other times you miss the crunch of a taco. You could buy both soft tortillas and hard tacos and get your fix whenever you want. 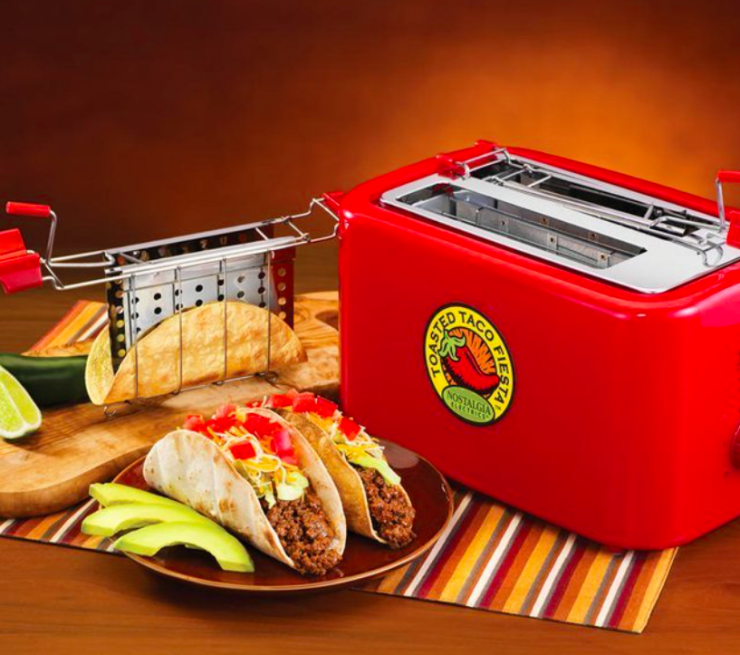 Or you could get this Taco Shell Toaster. It’ll accept corn or flour tortillas and shape them into the perfect taco shape thanks to its taco-forming cage. It makes two at once, and the 750W element should have them toasted in no time. Better yet, this toaster is just $30. By Hazel Chua on 01/13/15 • Leave a comment! Shake it, shake shake it, shake it like a Polaroid picture! We’re not talking about those photos you’ve just taken with your Instax (you shouldn’t shake those, by the way) but rather, these awesome salt and pepper shakers created by Photojojo. 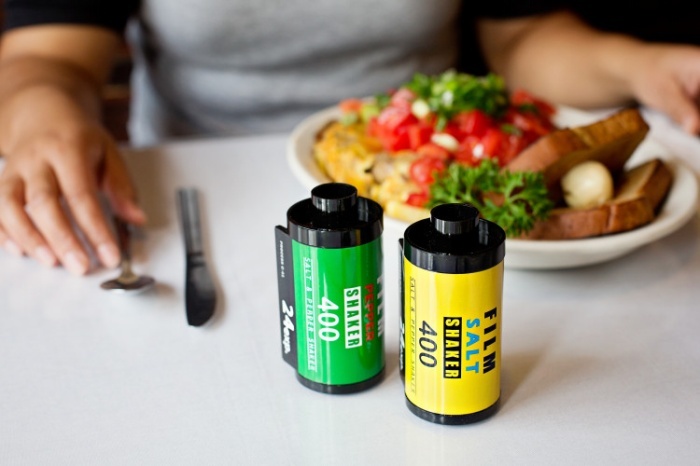 They’re designed to look like the 35mm film canisters of yesteryears, which brings back fond memories of film photography. By Hazel Chua on 01/06/15 • Leave a comment! Sometimes, the doorbell rings at the worst moments– when you’re still in bed, in the shower, playing a video game, or watching a particularly interesting football match. It gets easier when you have Skybell, though. 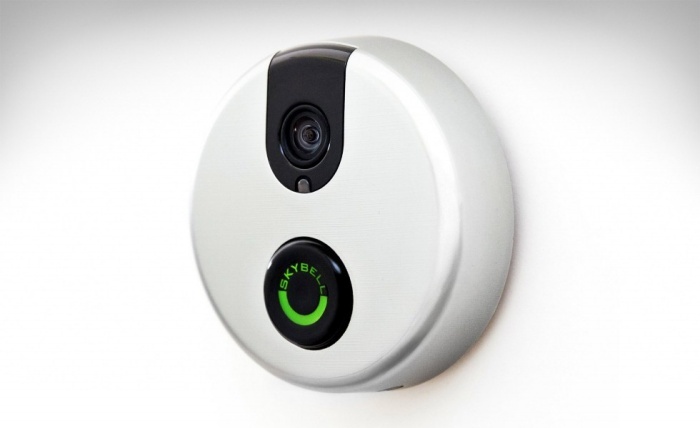 It’s a doorbell that functions as a virtual sentry of sorts by letting you see who’s at the door without even having to get up and open it. Skybell hooks up to your WiFi connection so you can see who’s at the door by checking your phone. You’ll also be able to communicate with visitors through Skybell (and turn away salesmen) in the comforts of wherever you currently are when the bell rang. What’s more, you’ll get an alert on your mobile if it senses someone loitering by your door, even when they haven’t pressed the button. It’s available online for $199. By Hazel Chua on 12/23/14 • Leave a comment! If you’re constantly knocking stuff over in the shower, then you might want to consider putting in more shelves or getting rid of your stuff. If neither is an option, then your last resort could be this shower curtain. It’s lightweight, it’s transparent, and it’s got loads of pockets sown all over it. The ginormous pockets are just the right size for all of your stuff– whether it’s shampoo, deodorant, a loofah, or a towel– that has no place on your shelves or medicine cabinet because you’ve simply run out of space. 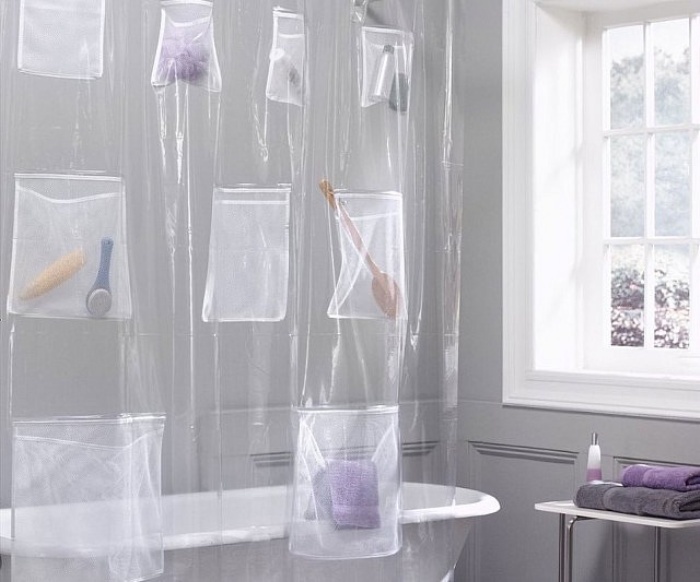 The shower curtain is available online for about $15. By Hazel Chua on 12/05/14 • Leave a comment! Regardless of how small your den may be, you can now fit a space ship in it–that is, if you have at least 33 square feet of vacant space. 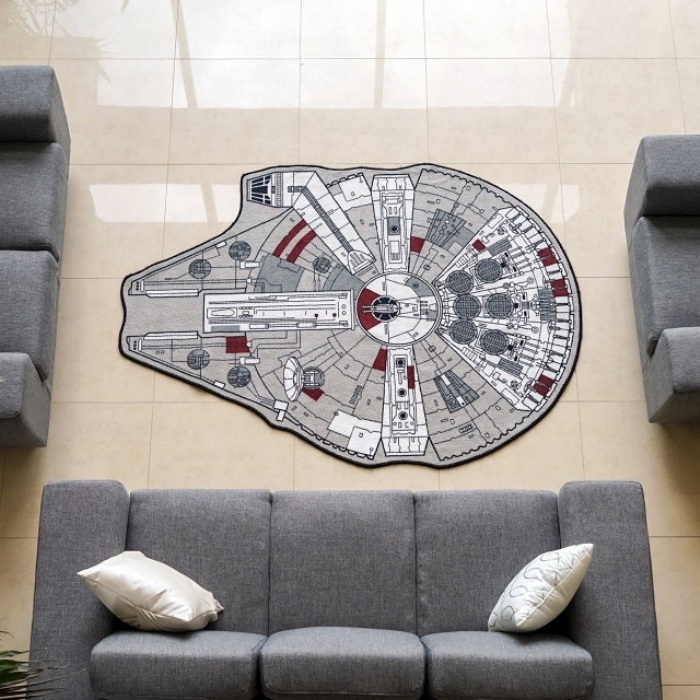 It’s not an actual space ship, of course, but this rug with the Millennium Falcon printed on it. The level of detail is pretty impressive, and the entire rug is cut out in the shape of the Falcon. If you’ve got some time on your hands, you can break out your tools and even turn it into a tapestry. The rug is made from 100% polyester pile and is officially licensed.